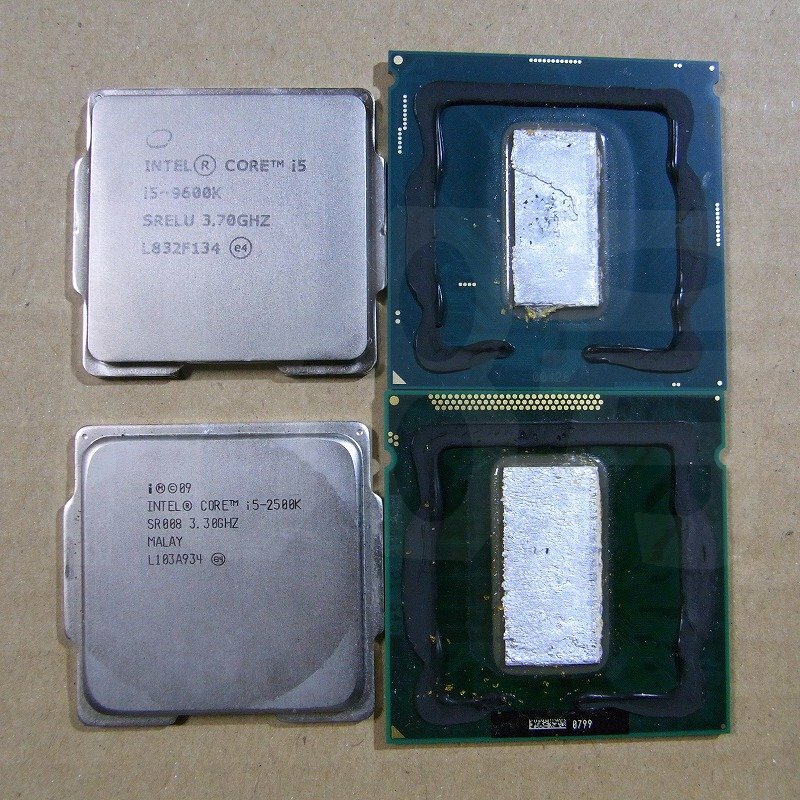 Does the 9th generation use a lower quality solder compared to what Sandy Bridge and HEDT had? Ian says the latest Intel chips will last just a couple years in his review of the new 9th generation CPUs. Sandy Bridge and the pre-Skylake-X soldered HEDT chips clearly have a lifespan of more than a couple years, so is this a case of Intel giving with one hand while taking away with the other? Where does Ian actually say this? Care to provide an actual quote and link? No indication that the solder is poor quality. Just the application of it barely improves upon the stock TIM, it's only runs about 5C lower than the toothpaste TIM. 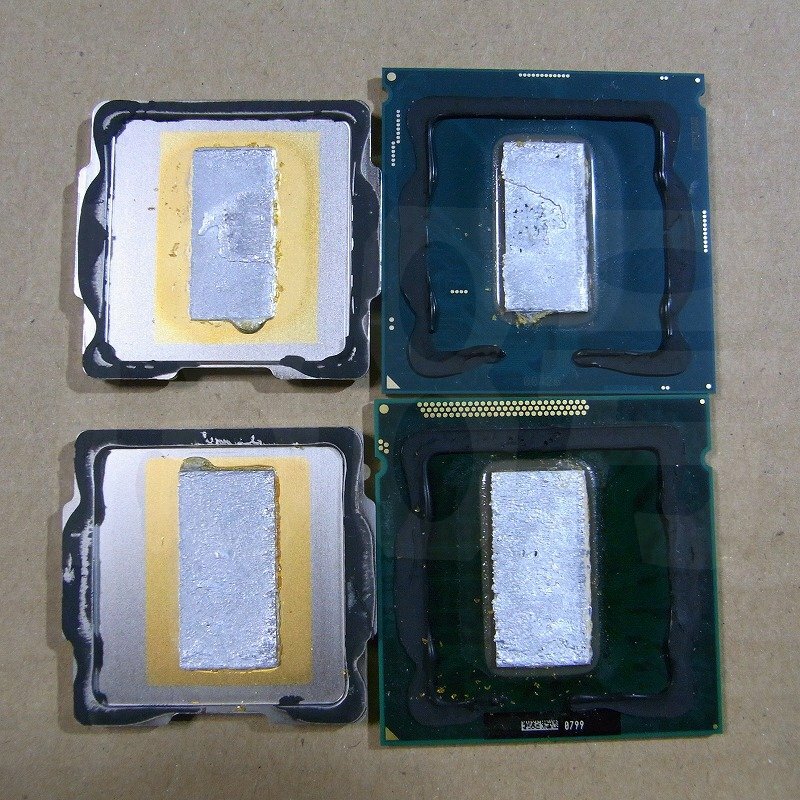 Delidding with liquid metal and shaving down the solder will improve temps by 15+C. The intensity (power dissipation per area) is just too high. The same exact effect can already be observed on Pinnacle Ridge CPUs, which have significantly lower intensity (due to larger die size). This allows paste-based processors to live longer and in more environments. Using a bonded metal typically reduces the level of thermal cycling possible, as the metal also expands and contracts in a non-fluid way. This might mean the processors has a rated lifespan of several years, rather than a dozen years. I'm sure Intel would not put something in there that had a high chance of failing during their 3 year warranty. True but nowadays it's not really exceptional if you buy a top end CPU and keep it for >5 years. The solder is thicker on 9th gen than Sandy bridge because the power density is much higher so the CPU is much more likely to experience extreme heat cycles when going from idle to full load. The thicker & softer solder makes it less likely to crack under those heat cycles. Ideally, liquid metal will always be the best interface since it has no risk of cracking so it can be ultra thin. Not sure about that. It doesn't stay in liquid form for long. It dries out and pretty much welds surfaces together, which I discovered when applying it between the IHS and AIO copper plate. Still waiting for the OP to cite where Ian says the cpus will last only two years. In any case, what the hell is intel supposed to do? They get bashed for years for using TIM and say they use it to reduce the chance of cracking. Nobody believes them and claims it is to save money. Now that they go back to solder and we get the typical new poster spreading FUD by misquoting a review and claiming "Oh woe is me. The cpu is going to self destruct in two years." You cant make this stuff up. is this a case of Intel giving with one hand while taking away with the other? That's because you applied it to bare copper. LM forms an alloy with bare copper. If both surfaces are nickel or nickel & silicon, nothing hardens. Yup! I applied CLU between the die of my A10-7700k and the copper underside of the IHS, and the majority of the CLU stayed semi-liquid. The CLU only "sinks into" bare copper. I still maintain that if traditional indium solder is going to be a problem for Intel, that they might be best served by a product like Indigo Xtreme. Running a legacy Intel CPU at clock speeds lower than spec. [Guru3D] AMD ThreadRipper (1) MSRPs lowered! What is the largest capacity SSD in your primary Home PC?